Many years ago, back when I was in high school, like everyone in my class I wound up taking a bunch of intelligence tests. I did well enough on them that my teachers began to berate me for being somewhat of a slacker, and “not living up to my potential.” They were right, of course, because from my point of view I was just passing time in high school, hoping just to survive it and get into college, where I intuitively knew the real fun was to be found. But somehow a teacher and some fellow students got hold of the results of my tests, and they began to badger me to become part of a group they called Mensa. It seems that my “IQ” was high enough to qualify me to be part of their club, and they wanted me to join it. Reluctantly, I attended one Mensa meeting, which turned out to be a bunch of people sitting around playing one-upmanship games in an attempt to prove that they were smarter than the other Mensa members. Not my idea of fun. I walked out of my first and only Mensa meeting halfway through it and never went back. I distinctly remember looking back at the ego-fest still going on in the room as I walked out of it and thinking, “If this is what having a ‘high IQ’ turns you into, I don’t want any part of it.” I wrote off the entire concept of IQ as meaningless and never thought about it again. Many years later, it seems that science agrees. 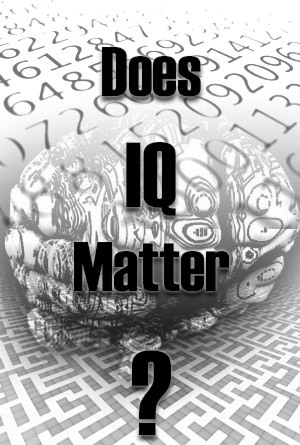 The results of a recent study led by researchers at the University of Western Ontario and published in the journal Neuron have indicated that the whole concept of IQ – that intelligence can be quantified and measured in a single number – is a myth. The study started out small, led by Dr. Adrian Owen, Canada Excellence Research Chair at the university’s Brain and Mind Institute. He and his associates wanted to examine the validity of IQ testing, which is still used to measure intelligence by many educators, including those in the province of Ontario. But when the researchers advertised the tests they were using in New Scientist magazine and on the website Discovery.com, the response completely exceeded their expectations. They wound up testing over 100,000 participants all over the world, using a combination of 12 cognitive tests. A smaller subset of the participants were also tested using functional magnetic resonance imaging (fMRI) scans of their brains. The overwhelming response resulted in this research becoming the largest online study ever conducted on intelligence, with data that crossed national, regional, demographic, age, and gender lines. So there you have it. I was right back in high school – IQ scores don’t mean a thing. Not that that makes me smart or anything…I was just ahead of my time. One-upmanship is endemic to all areas of life. I have experienced it in work and in athletics. As a person who would not qualify for Mensa I suggest IQ is not a myth. The SAT, ACT and PISA tests measure tangible results that translate into real life success. They don't necessarily measure wisdom, compassion and practical common sense or every conceivable type of intelligence. However the IQ tests give a rough approximation of how intelligent a person is and how successful a person will be because smart people are generally more successful.